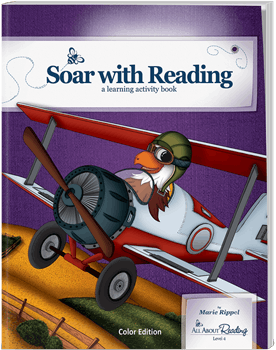 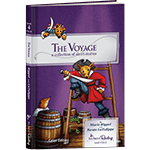 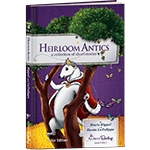 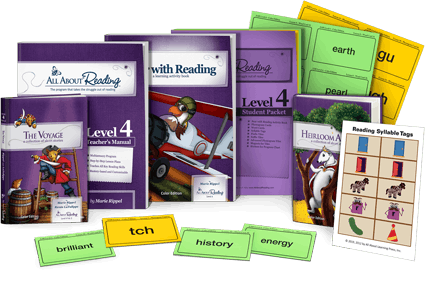 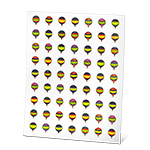 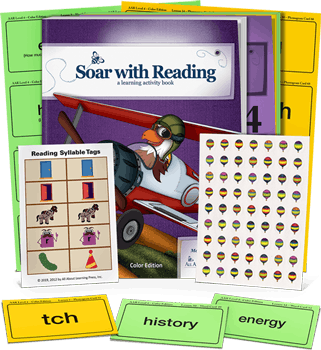 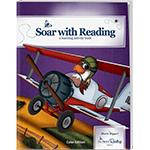 All About Reading Level 4 Materials includes the Teacher’s Manual, one Student Packet (which contains the activity book, flashcards, and stickers), and two readers. 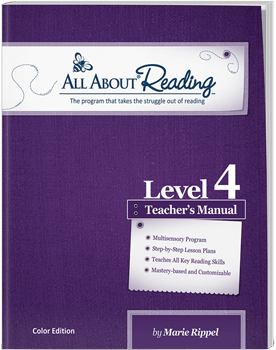 Download this placement test to determine if your student is ready for Level 4. 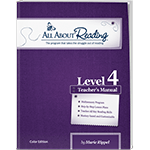 Have Questions about Level 4? 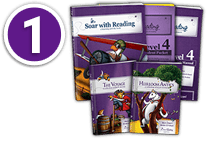 Can I mix and match the First Edition with the Color Edition of Level 4? 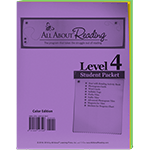 Does the Color Edition of Level 4 contain any new lesson content? 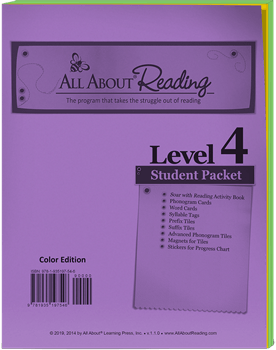 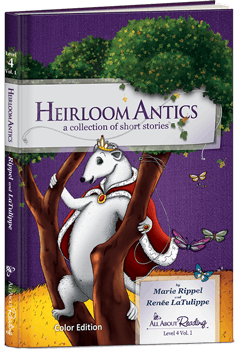 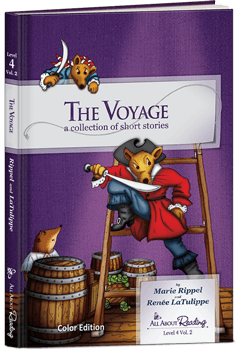 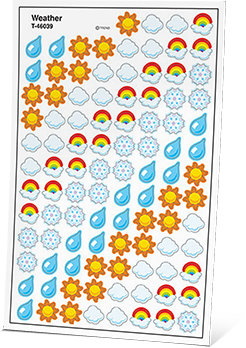 Yes, the Color Edition of Level 4 contains new stories, lessons, and activities. 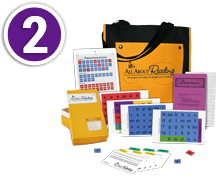 Can I still buy First Edition Level 4 materials?